The arrival of a new son or daughter is a momentous occasion deserving of the very finest flowers. This exquisite hand-tied bouquet is simply perfect with its selection of beautiful roses and distinctive mini cymbidium orchids. It's a luxurious gift choice and that ensures your very best wishes are delivered in fine style. 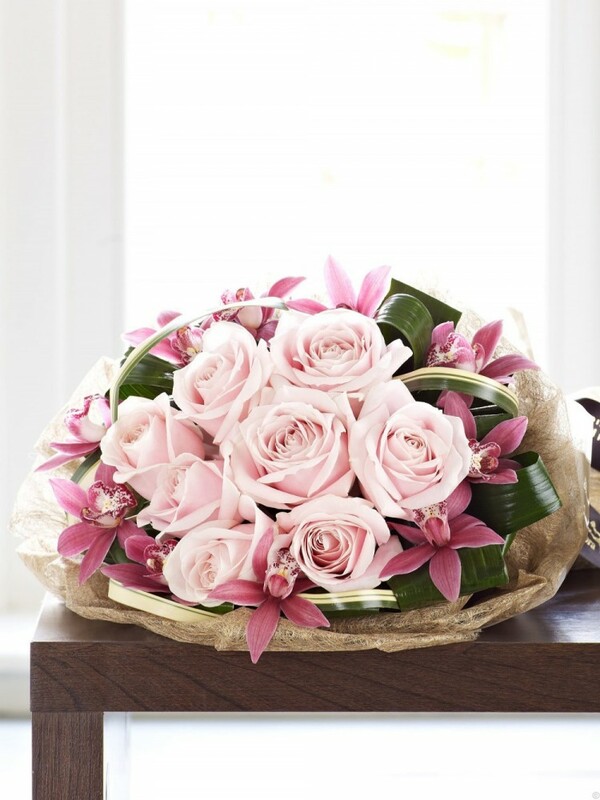 Featuring pink Elliot Rogers mini cymbidium orchids and pale pink Sweet Avalanche large headed roses expertly arranged with aspidistra leaves and variegated phormium, and presented in luxurious packaging for maximum impact when your gift is delivered.